Nancy Madore achieved enormous critical acclaim with her bestselling Enchanted series with Harlequin, which includes Enchanted, Enchanted Again and Enchanted Dreams. Madore is currently writing a historical-speculative fiction mystery series entitled Legacy of the Watchers, which was inspired by her life-long interest in ancient history and mythology. So far, the series includes The Hidden Ones, Power of Gods and Masquerade. The next book in the series, entitled The Fourth Trumpet, will be released in February of 2015. 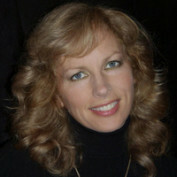 You can read more about Nancy Madore and her books by visiting her website at www.nmadore.com.